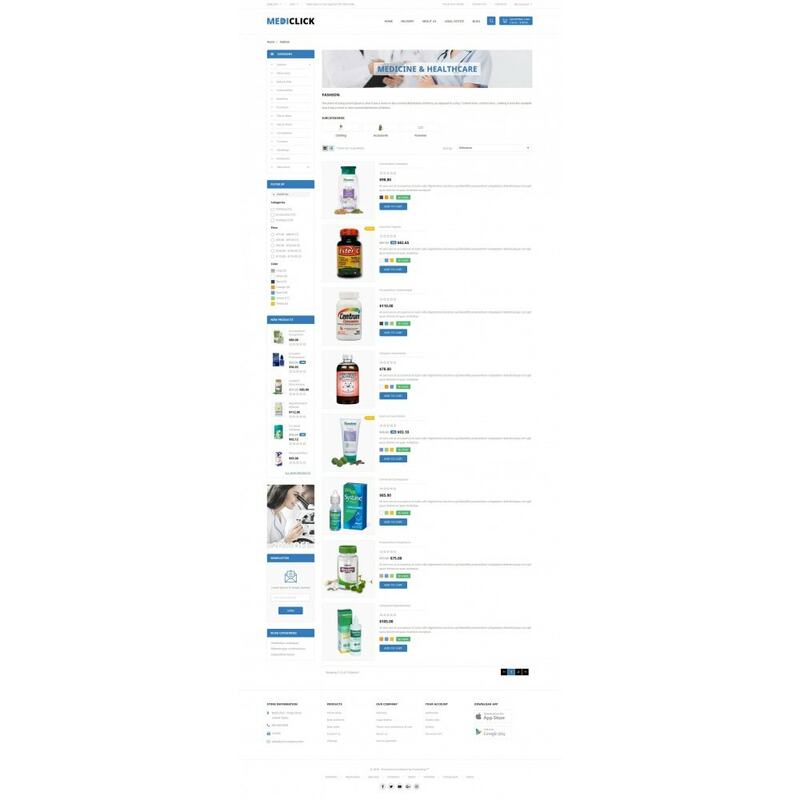 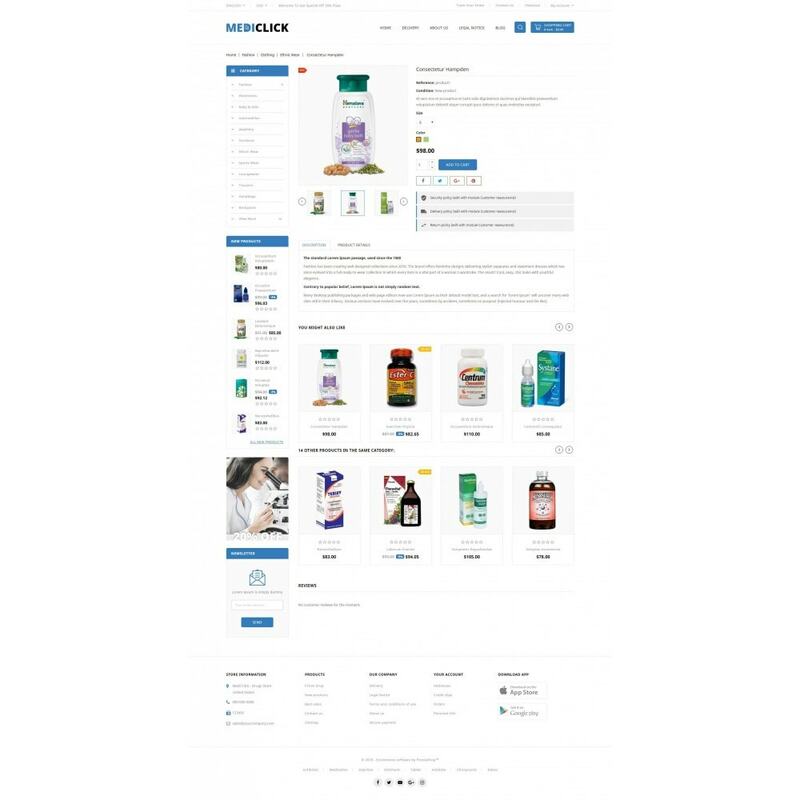 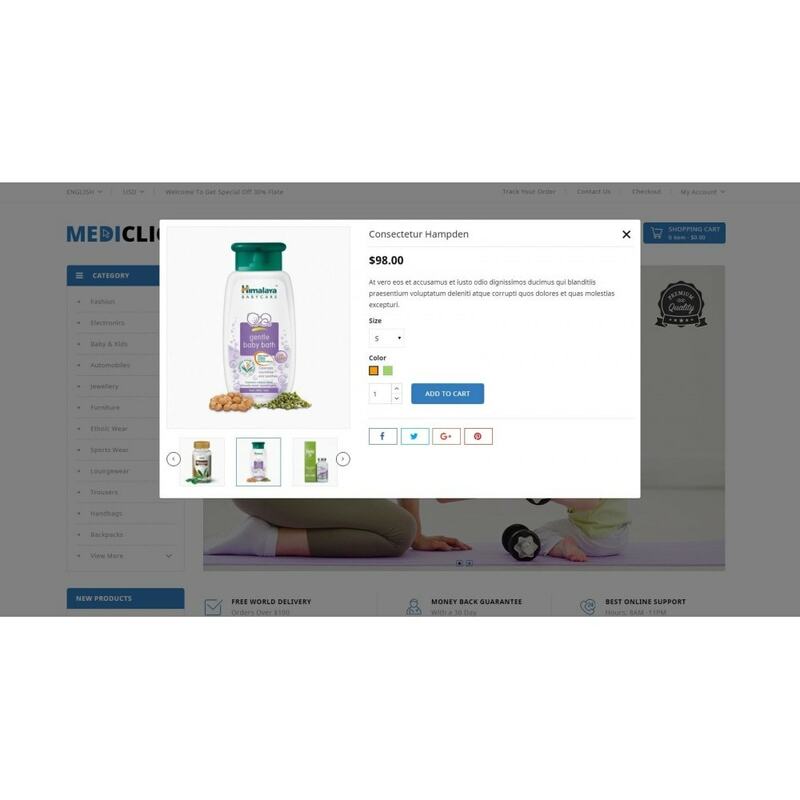 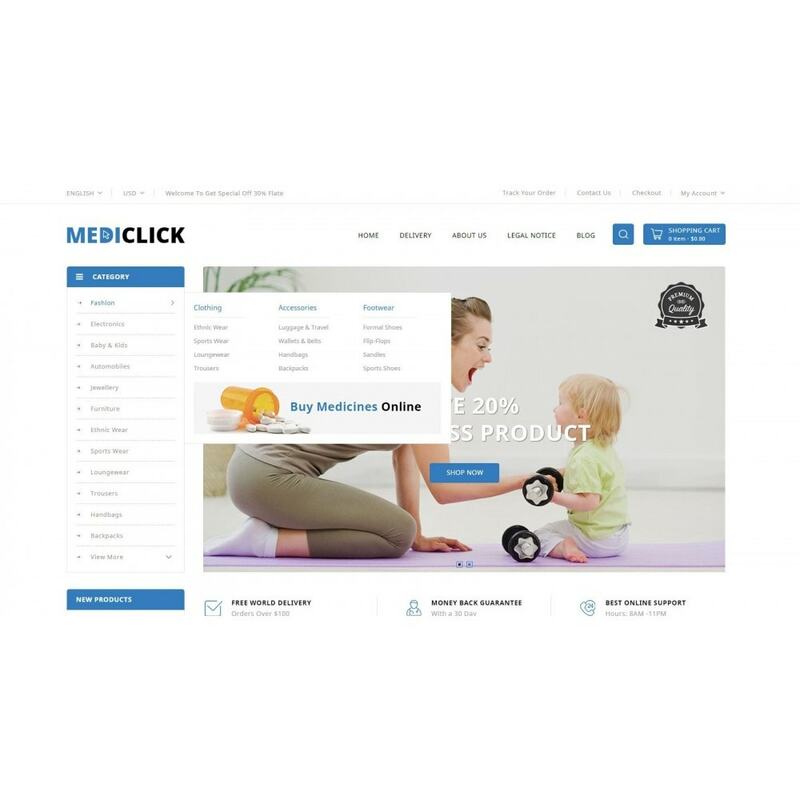 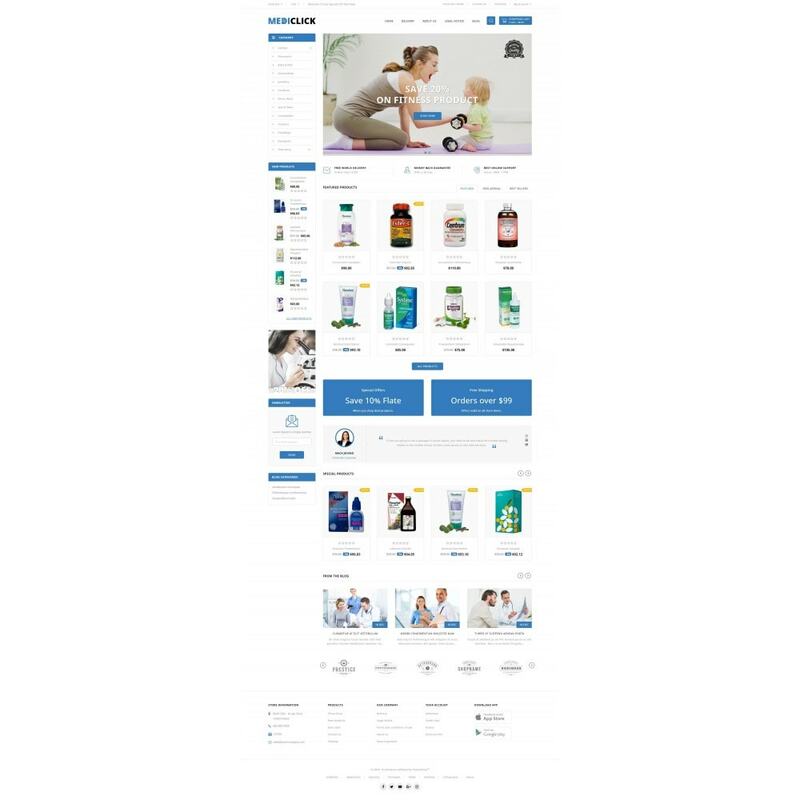 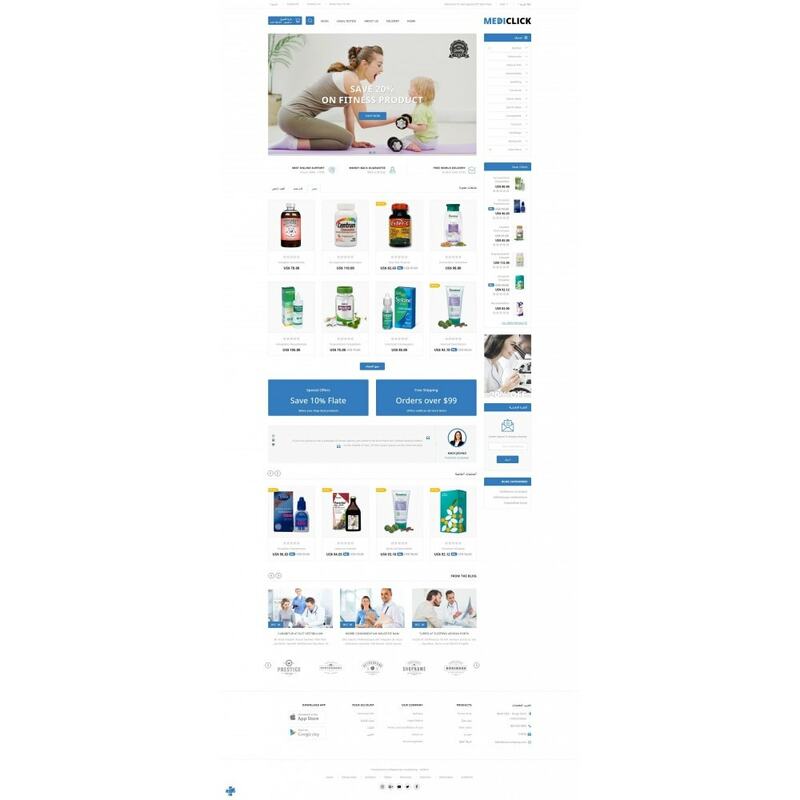 MediClick Drugs Store Responsive Theme is designed for Ayurveda, Drug, Hospital, Fitness, Natural, Herbal, Beauty, Health and multi purpose store. 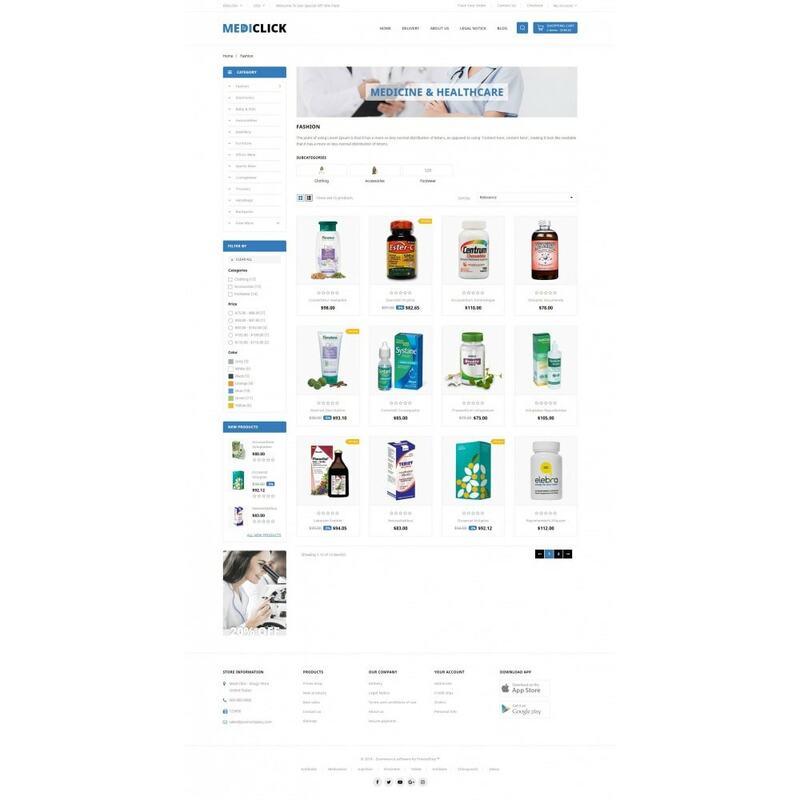 It's look good with colors combination. 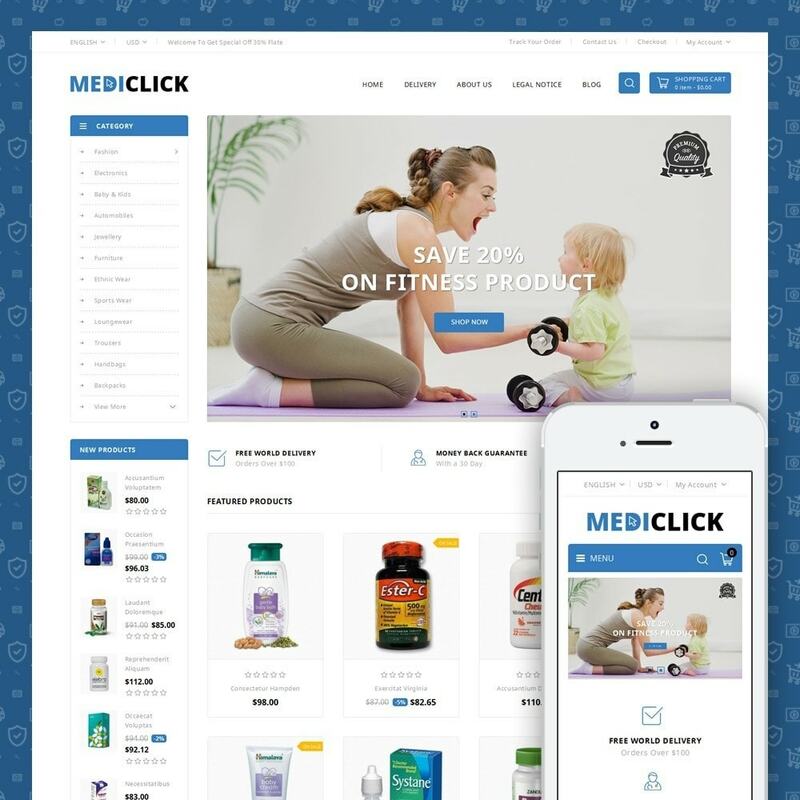 It can be used for any kind of online store.